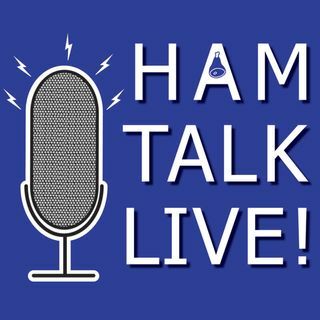 Episode 103 - Changes to Hamvention Update | Ham Talk Live! Michael Kalter, W8CI, the official spokesperson of the Dayton Hamvention is here to talk about how the changes are coming along to the Hamvention and the fairgrounds. You can call in with your questions LIVE during the show, and we will preview our Hamvention 2018 coverage. Im busting a gut laughing here. Im almost in tears. Lol!!! I see how it is. Lol. Pork chops are replacing the Cheesecake on a Stick. Hahaha!]!! I drive thru Dayton today and NO construction on I-75. It's finally done. Yeah!!! Im looking forward to driving a golf cart all day Sunday to shuttle the attendees.